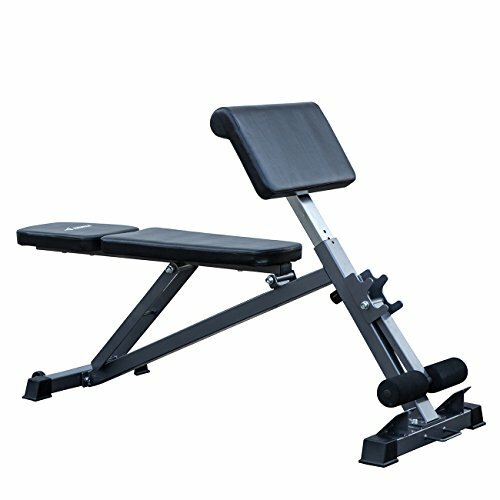 The multi-level, adjustable bench allows you to target the upper, middle, & lower chest with numerous chest exercises. Work your biceps, triceps, & forearms with the preacher curl or turn around and use the preacher curl for back support during shoulder dumbbell or barbell presses. The preacher curl bar catch allows for a comfortable and convenient way to rack your bar after each set. At the foot, you will find the hyper-extension part of the bench that allows you to strengthen and stretch your lower back and hamstring muscles as well as perform abdominal exercises.